I spent much of Wednesday 21st September deliberating over whether or not to write something about the Troy Davis case. I, like many thousands of people around the world, was horrified by the prospect of his execution in the face of such overwhelming doubt over his guilt - but I was also aware that the case was already being covered all over the world. 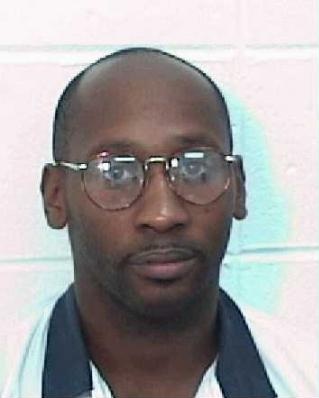 For those who don't know, Troy Davis was convicted in 1991 of the 1989 murder of off-duty police officer Mark MacPhail. Jurors sentenced Davis to death based solely on eyewitness testimony, of which much has since been recanted with nine people signing affidavits stating that another man committed the murder. Despite this, Davis was executed in the state of Georgia on the evening of Wednesday 21st September 2011. As Wednesday progressed, two main factors convinced me to write about the injustice which ultimately befell Troy Davis at just past 11PM (ET) last Wednesday. First, I observed the right-wing media's biased reporting on the case. Some news stations completely ignored the wealth of evidence which undermined Troy Davis's conviction, instead echoing the MacPhail family's misguided cries for Davis's blood. Others told blatant lies, such as claiming that the recanted witness testimony was largely mythical (in fact all of the recantations are accounted for in this PDF on Amnesty's website). Unsurprisingly, it was Anne Coulter who offered the most shocking commentary, relishing Troy's imminent death on her twitter feed ('One Troy Davis flame broiled please') and wrongly claiming on her website that there is no evidence to suggest an innocent person has been executed in the US for 60 years. Then, shortly after Coulter published her disturbing diatribe, I received a four-word tweet from my friend Deborah Ffrench. It read, 'Strange Fruit Still Growing'. The tweet referenced one of the greatest and most haunting poems ever written; Strange Fruit by Abel Meeropol. Later turned into a song by Billie Holliday, the song recounts the lynching of black citizens in America in the 1930s. Blood on the leaves and blood on the root. The title for my Troy Davis article came to me in a flash and I got to work. Over the next two days I set about creating what I hoped would come as close as possible to being the 'definitive' Troy Davis article. Tracking down the signed recantation affidavits which several journalists and media outlets had dismissed as fictitious, I included extensive quotes from witnesses who claimed they'd been bullied and threatened by police officers who forced them to falsely identify Davis as the shooter of Mark MacPhail in Davis's 1991 trial. I had to shorten my article for the Huffington Post which, in recent months, is asking contributors to cap their contributions at roughly 1000 words, but I have uploaded the unedited version of my article on my personal website. So perhaps read the article on my website but leave your comment at the Huffington Post. I am unashamedly opposed to capital punishment. The notion that it works as a deterrent is swiftly debunked by America's crime statistics and the idea that we can teach our children that murder is wrong by murdering murderers is clearly deranged. Moreover, the justice system gets it wrong far too often. If you put someone in a cell, you can take them back out again; the same can't be said after you've put them in the ground. The Innocence Project estimates that between 2.3% and 5% of prisoners in America are innocent, meaning that, potentially, upwards of 150 American prisoners are currently awaiting execution for crimes that they didn't commit. How many more Troy Davis's must there be before America sees the light? about the Troy Davis case. who claim police framed Davis for the murder.